On Friday evening, the Lower Garden District wants you to come play in its parks. 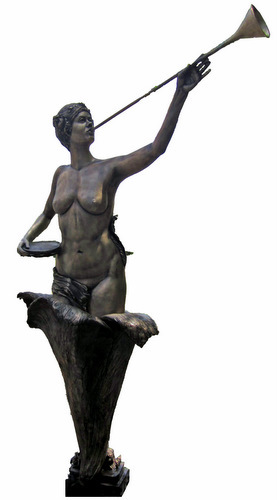 When the piece is installed on Terpsichore St. it will create another entrance point to the park guarded by a strong female figure; like Margaret Haughery at the Clio St. entrance, and Sophie Wright at the uptown end of the park system. After the sculpture installation, the New Orleans Film Society will present the comedy classic “Airplane!” in Coliseum Square, the second outdoor movie night it has hosted in the park. "Airplane!" presented by the New Orleans Film Society. So proud of your exquisite Terpsichore, and proud to be one of your oldest and most admiring friends! Airplane is funny and all but does any one else find it kind of an odd choice for this event? The “why” as to the choice of ‘Airplane!’ is definitely absent and at the very least random. Surely, you don’t find it that odd of a choice, do you? No, not at all. And don’t call me Shirley!